Can Rose’s career bloom again now he is with LeBron and the Cavs? The roller-coaster NBA ride of the free-agent guard has presently landed him at Cleveland Cavaliers. It was his desire to be with a championship-caliber team. Wish granted, and now he will have a chance to play with LeBron James, regarded as the world’s best basketeer at the moment. Rose completed his physical and committed to a one-year, veteran’s minimum deal worth $2.1 million with the Cavs, last season’s losing finalists. 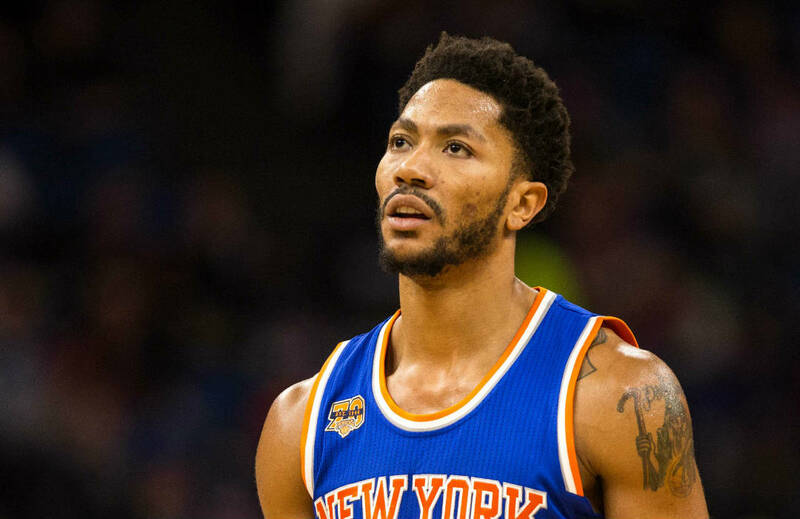 The 28-year-old Rose averaged 18 points, 4.4 assists and 3.8 rebounds in his ninth NBA season last year for the New York Knicks. But his season and stint with the Knicks ended in early April after 64 games when he suffered a torn meniscus in his left knee that necessitated surgery. He spent his first eight seasons with his hometown Chicago Bulls, who selected him with the No. 1 overall pick in the 2008 draft. Playing for the Cavs will give the 2011 NBA MVP and 2009 Rookie of the Year to “resurrect’’ his career. He can be a starter and reserve with his new team but Rose said he can play whatever role the Cavs would give him. Rose and James but both share mutual respect, and this accord could bode well for Cleveland as they bid to mount another title run following last season’s loss to the Golden State Warriors. Derrick and ‘Bron crossed paths in the first round of the 2010 postseason, the Eastern Conference finals in 2011 and the East semifinals in 2015. In his career, the 6-foot-3 Rose has averaged 19.5 points, six assists and 3.7 rebounds. A brand-new team represents fresh hope for the once top point guard in the league. Soon to be dribbling for a mightier squad with King James no less as main man, can Rose bloom again in the NBA?